Yuriko was happy growing up in Hiroshima when it was just her and Papa. But her aunt Kimiko and her cousin Genji are living with them now, and the family is only getting bigger with talk of a double marriage! And while things are changing at home, the world beyond their doors is even more unpredictable. World War II is coming to an end, and since the Japanese newspapers don’t report lost battles, the Japanese people are not entirely certain of where Japan stands. Yuriko is used to the sirens and the air-raid drills, but things start to feel more real when the neighbors who have left to fight stop coming home. When the bombs hit Hiroshima, it’s through Yuriko’s twelve-year-old eyes that we witness the devastation and horror. This is a story that offers young readers insight into how children lived during the war, while also introducing them to Japanese culture. 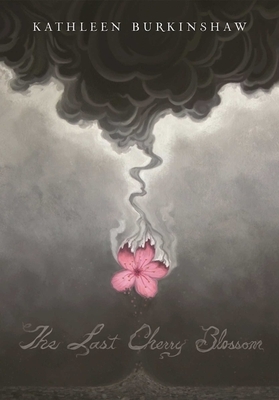 Based loosely on author Kathleen Burkinshaw’s mother’s firsthand experience surviving the atomic bombing of Hiroshima, The Last Cherry Blossom hopes to warn readers of the immense damage nuclear war can bring, while reminding them that the enemy” in any war is often not so different from ourselves.